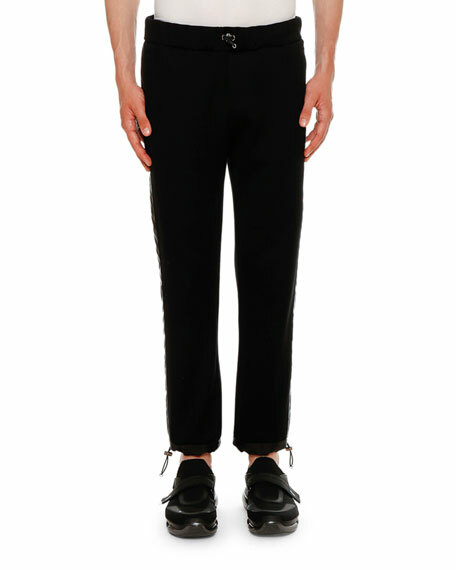 Prada pants with contrast inseam panel. 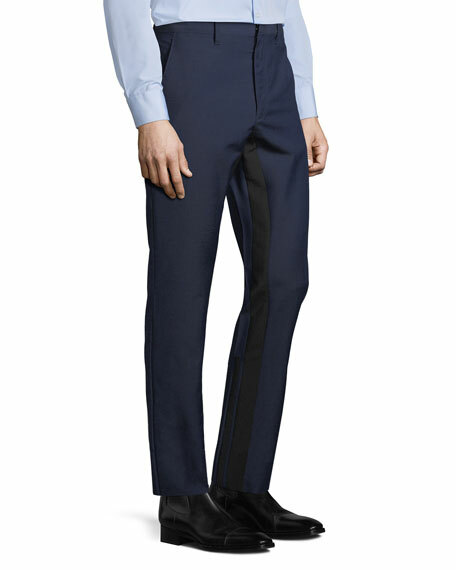 Side slip pockets, back welt pockets with buttons. 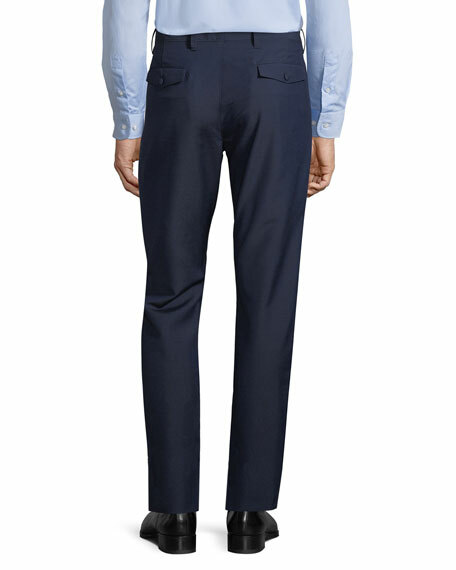 Prada pants in richly dyed denim twill. Five-pocket style. Regular rise. 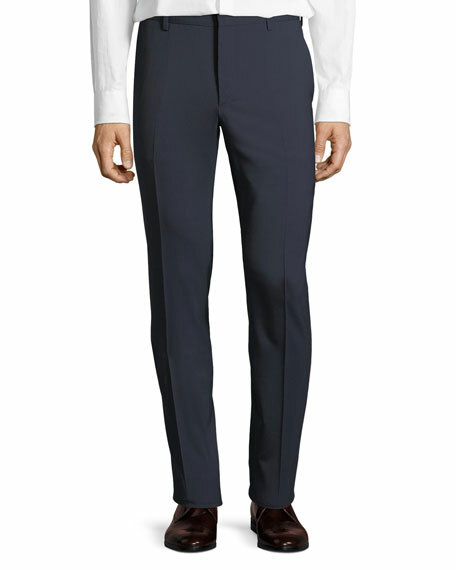 Slim fit; straight leg tapers to ankle. Button/zip fly; belt loops. Cotton/spandex. Made in Romania. Prada jog pants with custom nylon panel along sides. Drawstring front with elastic waistband. Side slip pockets; back custom welt pocket. Ankle cuffs with drawstrings. Pull-on style. Cotton/nylon. Imported. 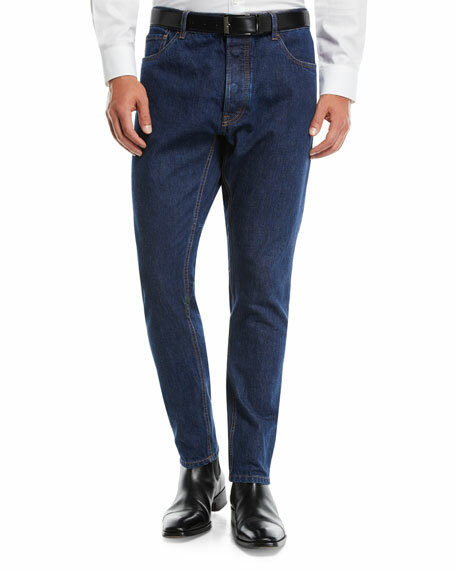 Prada jeans in rich-indigo denim. Bias topstitching at back legs. 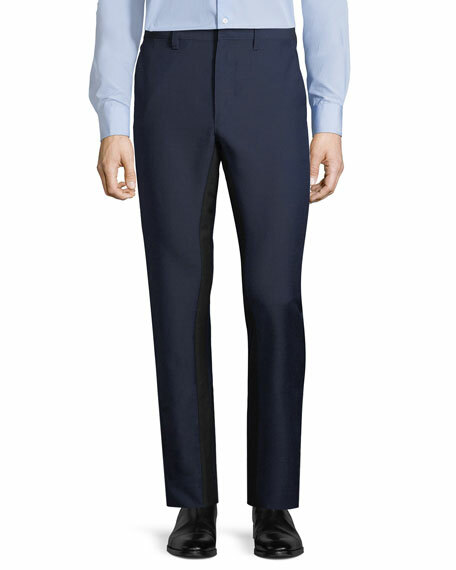 Five-pocket style Regular rise; belt loops. 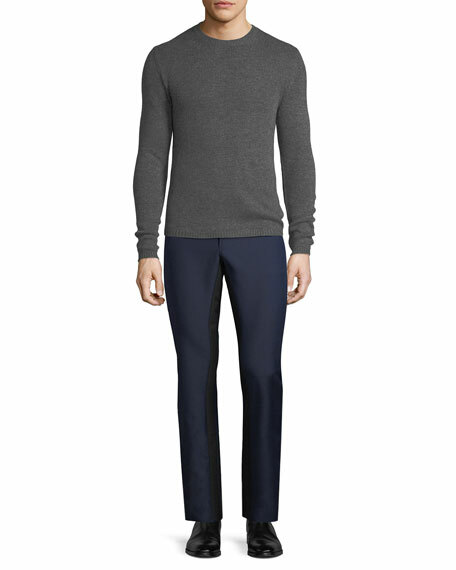 Slim fit; tapered legs. Cotton. Imported.